Checks may be old-fashioned, but checking accounts are a huge part of a solid approach to handling your money. If you live paycheck-to-paycheck, getting a checking account is the first step. If you have some money in the bank, a checking account will let you get to it very easily. All of your everyday transactions should happen with a checking account if you aren’t in the habit of using a credit card effectively and paying it off every month. But the biggest question is where to start. I like the idea of using a checking account at a bank or credit union that is likely to have ATMs where ever I go. But access can sometimes be expensive, and there are free options available. These three things are MUST-HAVE for your checking account. 1. You should not have to pay a bank to hold your money for you. Banks like to think they’re providing a service when you deposit cash into savings and checking. And while they may be, what are they offering you to make them choose to bank with them instead of just using cash? When you deposit money, banks and credit unions use your money to make loans to other people and businesses. There’s nothing wrong with that — your money is guaranteed to be available to you when you need it. But that’s a service you’re providing to banks, and they should either pay you for providing that service (with interest) or at least not charge you extra fees. Of course, it doesn’t always work out that way. But you should look for a checking account that offers interest or that doesn’t charge any fees. If you’re a student, you often have more options available to you. With the app from my bank, I can check my balances, transfer money from one account to another, order a new debit card, and chat with customer service. These are standard features, so don’t choose a bank without a fully-functioning smartphone app. 3. The bank you choose should have stellar customer service. Every bank is going to have upset customers. How are complaints handled? Check your bank’s Twitter account for an idea of what you can expect for customer service. Some banks — just like all companies — are more responsive that others. Look for online reviews, but consider them with a grain of salt. If you do expect to visit a branch often, make sure the hours are compatible with your life. Some banks open at 9:00 am and close before 5:00 pm on weekdays, except perhaps for one evening a week. Does that mean you have to leave work in order to get your personal business done? Where do you keep your checking account? 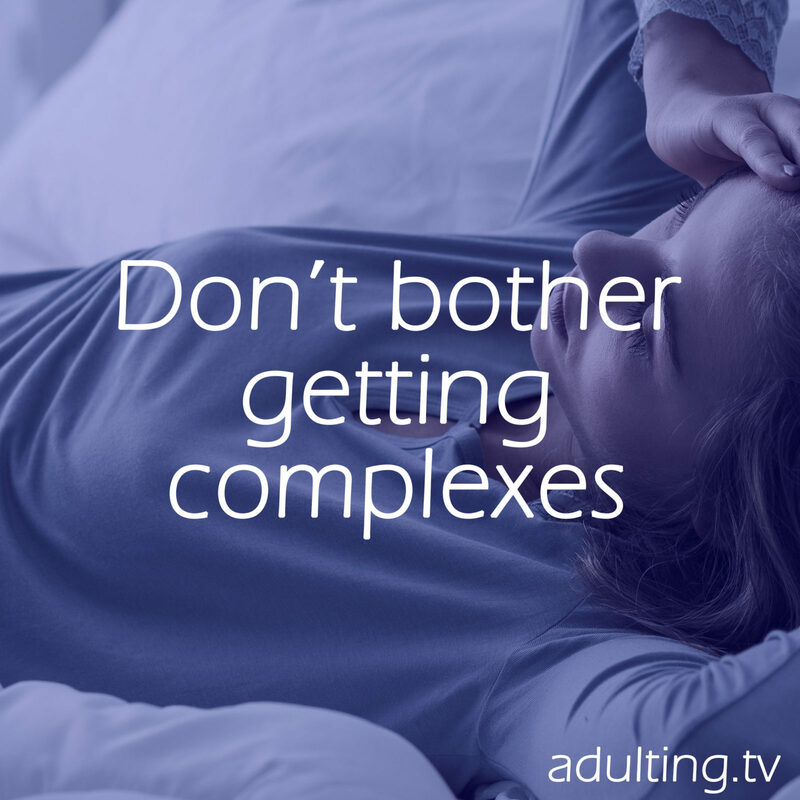 Disclosure: Adulting.tv may be compensated if you take action after visiting certain links in this article at no cost to you. We stand by our editorial integrity and would not be linking to or discussing this topic if we didn’t believe it was in the best interest of you, our audience. Have you been hearing a lot about side hustles this year? The “gig economy” is starting to become a major force in people’s lives for building financial security — and maybe even financial independence. Chances are really good you know someone who has a full-time job but spends some of their time driving for Uber. Maybe your cousin has a side hustle selling jewelry online. I bet they talk about it as often as they can, too. Making money on the side, regularly, can change someone’s life, so it makes sense they’re going to want to spread what they’ve learned. But not everyone needs to be so vocal about how they make money outside of their regular employment, whether it’s something they do on their own or for a company that makes side gigs easy. Some of the less conspicuous side hustles can do just as well, and you don’t have to feel like a jerk for always trying to sign up your friends for that extra bonus. The bottom line is that the experiences you want in life don’t always come cheap (though there’s nothing wrong with finding frugal fun). Day jobs just don’t cut it anymore. Not too long ago, you could live a “middle class life” on one income. Now most middle class families have two incomes, but those who are really doing well supplement two incomes with a side hustle or two. And it’s even better when your gig will produce cash you can use without much work. Side hustles don’t make you rich quickly. You won’t become a millionaire overnight, but you do give yourself some flexibility when you want to provide for yourself or your family a little bit better. Don’t worry about going full-time with a side hustle — but maybe that will be an option down the road. For now, check out a few things you can do. We’ve picked our favorites, based on what’s easy and provides a good return for your time without requiring a huge commitment. You’re using the internet already, reading this article. You’re shocked, I can tell. There are so many ways you can make money without doing anything more than what you may already do with your time on the internet on your mobile phone or your computer. You spend so much time online, you might as well get paid for it. That’s where Swagbucks comes in. How often do you search for something online? Use SwagBucks, and you earn points for every search. So maybe you change from Google to Swagbucks. You can even make Swagbucks your default search engine so every time you type something in your address bar other than a web address, you could be earning Swagbucks. It’s not just search. Have you ever purchased something online, whether for yourself or for friends or family? I bet you’ve bought at least one thing online this season. If you do, this next Swagbucks tip is for you. Use the shopping portal at Swagbucks and shop at your usual stores. You earn points when you make your regular purchases through SwagBucks. So you don’t even have to spend any more money than you already spend — you don’t have to accumulate any additional items you need to keep around your house, let collect dust, and eventually throw away. These are the same purchases you’d normally make, just with earning a bonus. You can earn even more points by watching videos, answering surveys, playing online games, finding deals, and even taking advantage of free offers. Yes, you read that right — you get paid to get things for free. I’m not big into online games, but I know that this is a HUGE industry, and people frequently let time slip by crushing candies or mining jewels. Check out SwagBuck’s collection of online games. When you earn points, you can cash them in for money through PayPal or for gift cards from the places you already shop from, like Amazon and Walmart. There’s even a Swagbucks mobile app to help you earn more points. Sign up for Swagbucks and start earning money in less than ten minutes. 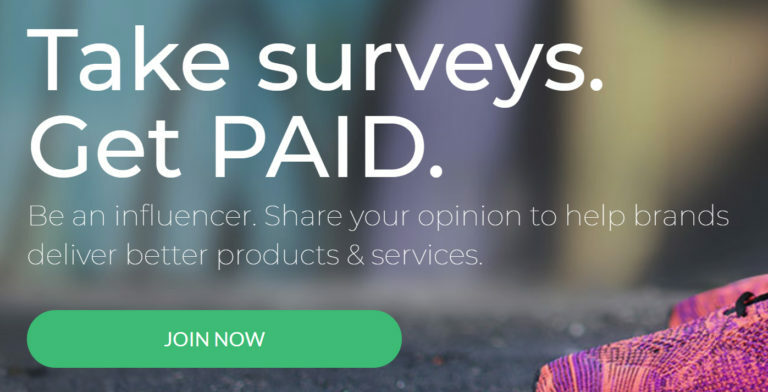 If you like the idea of filling out surveys with SwagBucks, you can do even more with Survey Junkie. Survey Junkie has a ton of surveys available, and based on your profile, you can qualify for many of them. The payouts are quick once you’ve earned $10. 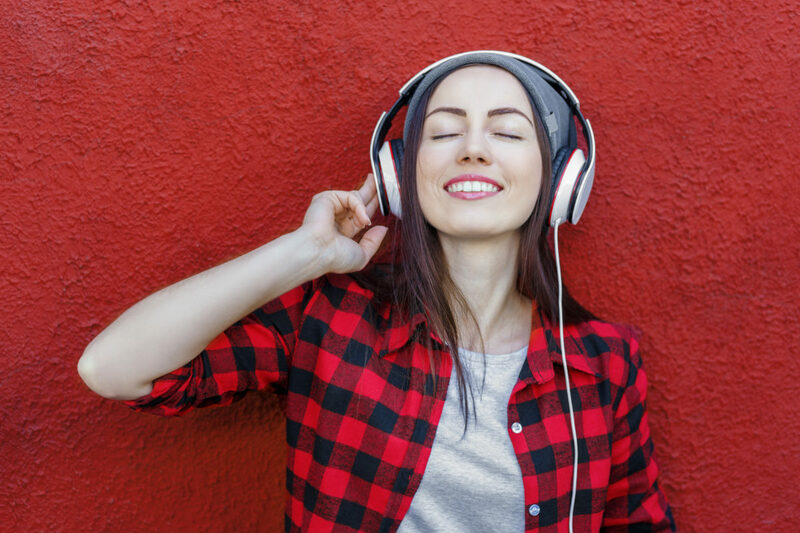 SwagBucks and Survey Junkie go hand in hand when it comes to filling out surveys for cash; you can join both and see which works best for you, or continue doing both. There was a period of time a few years ago I spent a few minutes every day filling out surveys. I can’t say it was for me, and just like me, not every side hustle is going to be right for you. But it’s an activity you can practically do in your sleep or while watching television or while studying for midterms, and the result is more money in your account. Open your Survey Junkie account and complete your profile in about fifteen minutes. Just like with SwagBucks, shopping online can prove to be profitable for yourself. Ebates has this down to a science. There are hundreds of options for shopping sites, and as long as you visit them through the Ebates portal, you’ll earn cash back for every purchase. The merchants available through Ebates are all familiar companies, and chances are good you shop at many of these already. If your usual store isn’t listed, chances are good Ebates has one of its competitors, and the cash back you’ll get from making your purchase will be worth shopping at a store. A few years ago, I was an Ebates junkie. Whenever I needed to buy something online, I checked Ebates first to make sure the company I wanted to purchase from was a partner that earned cash back for me. If not, I could easily find the same item, same brand through one of Ebates’ partners. 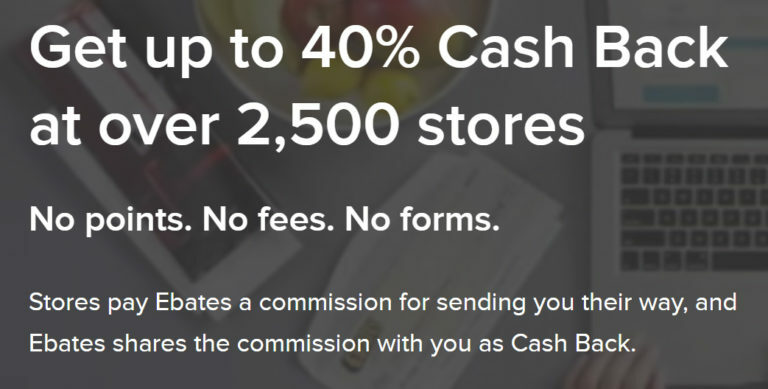 Because I also had a website with a large audience, I also earned a pretty nice commission whenever someone I knew signed up for their own Ebates account and began earning their own cash back. Sign up for Ebates and start earning points towards cash back in minutes. Which of these side hustles is right for you? Or do you have your own suggestion? While I really like these top three, we like the idea of side hustling so much that we have more than 50 additional side hustle ideas that will get you earning $200 in a day. Pretty good deal, right? Updated for February 2018! Handling your finances like an adult includes knowing how to deal with credit cards. We all make mistakes sometimes. For me, it was taking a cash advance from a credit card when I hit my personal rock bottom. I felt like I didn’t have any other choice. But years later, I’ve turned the tables on the credit card industry and now use credit cards to earn cash back and collect points for free travel, which I do often. Here are my picks for the best credit cards across the different types of credit card offers that are available today. Note: all credit card deals are only worthwhile if you pay your balance off in full each month, like a proper adult. If you have to pay interest or a late payment fee, forget about maximizing credit card offers. Focus on getting your finances in shape first. Best credit card bonus (for the not-so-typical adult). Chase Sapphire Reserve 50,000 Bonus Points. Unfortunately, Chase has ended its 100,000 bonus points offer that was available when applying from within a Chase branch. What Chase offers now is the reduced bonus point offer of 50,000 points, for which you can still apply online. That’s still pretty substantial. There’s a $450 annual fee for this card, not waived the first year, but you will receive a reimbursement of up to $300 for certain travel expenses like checked-bag fees. The rest of the benefits may be worth the $150 difference between the reimbursement maximum and the fee. You’ll need to spend $4,000 on the card within the first three months to receive the bonus. Get the 50,000 bonus points and you’re straight fire. Best cash back credit card offer (for adults who like money). Blue Cash Everyday Card from American Express. The keys to a good cash back card are avoiding the annual fee, eliminating any hassle to retrieving the cash you earn, and finding a cash-back rate that’s above the average offer. 1% cash back is easy to find, but Blue Cash Everyday beats that with 3% cash back on groceries (limited), 2% at gas stations and certain department stores, and 1% on everything else. There is currently a bonus offer, too. Apply now to earn $200 in cash back after spending $1,000 within the first three months. Best travel rewards credit card offer (for adults who have places to be). 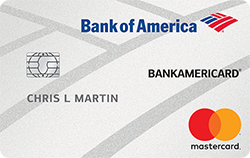 BankAmericard Travel Rewards Credit Card. If you’re looking for a travel rewards credit card, you should expect to find features that make travel easy. The biggest benefit, especially for the world traveler, is having no foreign transaction fee. Bank of America’s offer makes that happen, and does not charge an annual fee, either. You earn 1.5 points for every dollar you spend, unlimited, and those points are redeemed for a statement credit that covers flights, hotels, vacation packages, cruises, rental cars, or baggage fees. There’s no need to convert points to miles or points with a specific airline or hotel chain. Because you use the card normally to pay for your travel expenses, there are no black-out dates. Right now, this card is offering 20,000 bonus points which can be used to book airfare or hotel stays without restrictions. Best balance transfer credit card (for adults who need to simplify). Bank AmeriCard. If there’s one thing you want from a credit card you wish to use to transfer a balance, it’s the lack of a fee. If there’s another thing you want, it’s a low interest rate so you can pay off that balance transfer without any extra costs. BankAmericard has the perfect offer. For the first 60 days, you can transfer balances from your other cards for free, and you’ll have 15 months to pay off that balance without paying a cent in interest (0% APR) as long as you pay at least the minimum due each month. This is the perfect opportunity to consolidate your balances across several cards and create one manageable, monthly payment. But pay the balance in full within the 15-month period! As a bonus, your purchases during the first 60 days will also be treated to the same 0% APR for the first 15 months. Best credit card offer for students (for adults who are trying to adult). Citi ThankYou Preferred for College Students. I got my first credit card in college. I signed up and got a free tee-shirt. You get more when you are approved for Citi’s card for college students, probably the credit card offer with the most chill. There’s 2,500 bonus points available for those who sign up, and you have to spend only $500 in the first three months to qualify. The purpose of a student card is to help you build credit, so don’t expect too many frills besides the basic rewards and introductory 0% APR for 7 months. Best small business credit card (for adults who think they’re important). Business Gold Rewards Card from American Express. This is the standard, and if you’re building your business beyond yourself, this is a great choice. Watch out for the $175 annual fee (waived for the first year) with the AmEx Business Gold Rewards Card. But, there’s currently a 50,000 bonus points offer, requiring only $5,000 in purchases over the first three months. This is a charge card, not a credit card, so you pay your bill in full every month. Best credit card for building credit (for adults who are just starting to adult). Discover it Secured Credit Card. Building credit can be difficult if you didn’t have certain advantages growing up, like parents who had their own solid credit and a desire to ensure you were starting your adult life with good credit. Without those benefits, creating a solid financial future for yourself and your family will have more obstacles. Secured credit cards help establish credit, which allows you to qualify for better mortgage rates (or a mortgage at all) when the time comes, better interest rates for other loans, better prices on insurance, and even better apartments. While you’ll be approved for the Discover it Secured Credit Card without a credit history, this is more than just a basic card. You earn cash back on every purchase (limited) and receive your FICO credit score for free. Tell us what kind of card (or cards) you have. And what’s the best feature or you? Cash back, travel rewards, or something else? You should start investing, like, yesterday. Any hesitation means you’re losing out on potential growth. You may have debt, you may be struggling to put food on the table, but what’s going to save you is going to be investing. Even if it’s just a little. If you’re lucky enough to have a job, and you’re even luckier to have a job that offers a 401(k) plan, you should take advantage of it. They’re not perfect, and some are better than others, but often your company offers you free money to take advantage of it. This is part of your compensation, so you should do it. If you don’t, it’s like telling your boss to keep part of your paycheck because you don’t need it. So just get started with the 401(k) and worry about what to do with it later. We can help you with that, too, so check for the links below. If you don’t have a 401(k) plan, take matters into your own hands and open an IRA. WealthSimple is my favorite option because you don’t need to save up hundreds or thousands of dollars before you start. You can start right now with even $5. Or $100. Or $20. Whatever you might be able to spare — and really try to make it work. Because the amount doesn’t matter, especially at first. It’s just about getting in the habit. So open an account at WealthSimple today. There are no fees while your account is less than $5,000, and as you refer friends, you’ll eliminate fees as your account grows. As you set up your account, all you need to do is choose the investing style that fits you, and WealthSimple worries about how your money is invested. It’s a good hands-off way to invest, so you can know that your money is invested the way you want. You can take your time to learn more about index funds and choosing investments on your own, and when you’re ready, move to a different platform. But you shouldn’t hold off until you know everything about investing. The most important factor is starting early, so that’s where WealthSimple comes into play. Whether you invest at WealthSimple or Vanguard, you should choose a Traditional IRA if you don’t have a 401(k) or a Roth IRA if you do. That’s going to allow your money to grow without any kind of tax consequences until you retire. The key is to just invest your money and leave it alone for 10, 20, or 30 years — or more. That’s the first type of investing you want to tackle. So let’s say you’re a little more financially secure and you’re ready for taking some more advanced investing steps. You are contributing to your 401(k), you have an IRA, so you’re saving for retirement, but you want investments that will help you grow your net worth without having to wait for retirement. Well, now let’s look at what you should do about that, but only if you can answer yes to these questions. Are you taking full advantage of your 401(k) benefits? That means investing at least as much to get the full matching contribution if your job offers it. Are you maximizing your IRA? The government says most people are allowed to contribute up to $5,500 each year. Do you have a sufficient emergency fund or plan? What happens if you lose your job and can’t find a new one right away? Do you have savings that will cover your living expenses? 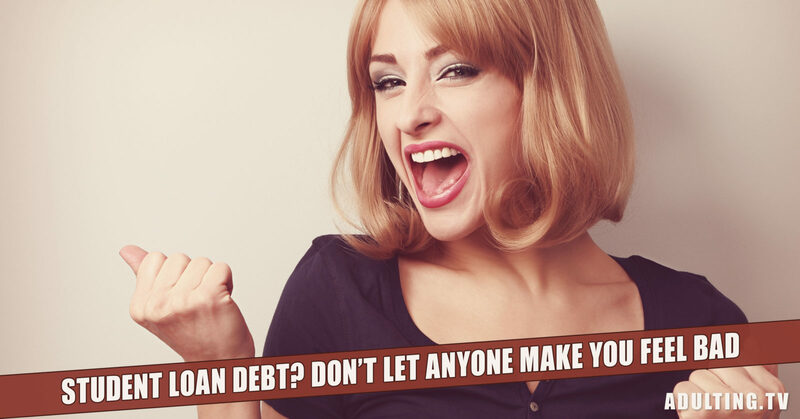 Is your debt under control? You’re making progress with paying off your debt if you have any. With student loans, you’re paying at least the maximum each month, and with credit cards, you’re paying them in full every month or aggressively paying down old debt. If you qualify, you are free to invest some of your extra money every month. It’s better than spending it, anyway. Vanguard is another good choice. But don’t fall into the trap of picking stocks or trying to predict what the “market” is going to do. You can’t beat the market, not consistently. So even for regular, non-retirement accounts, the best choice is the something like Vanguard’s Total Stock Market Index Fund, and the best place to get that is directly from Vanguard. Don’t go to your local bank and ask about investments. They will sell you something you don’t need. So don’t wait. Get started right now with WealthSimple or Vanguard. Bonus alert! WealthSimple is offering $100 in bonuses to the first 100 new accounts from Adulting.tv readers and listeners! That’s $10,000 in bonuses in total just for our audience! You’ll receive $50 when you open the account and another $50 if you invest $100,000! Now, that’s a lot to invest. But we know that some in our audience might qualify. Regardless, get your $50 right away by opening an account at WealthSimple! If you’re not satisfied with WealthSimple or Vanguard, here are some more suggestions based on our experience at Adulting.tv. Betterment. Betterment is another managed account like WealthSimple. It was one of the first automated managed investment accounts, and very popular with young investors who don’t want to choose their own funds, stocks, or bonds. Fidelity. Like Vanguard, Fidelity is a discount brokerage that offers its own index funds as well as stock trading. Ally Invest. Recently merged with TradeKing, Ally Invest is a discount brokerage that lets you choose your investments. Capital One Investing. ShareBuilder is now Capital One Investing. They have low-cost trades, so this is a great option for dabbling with the occasional stock investing (but don’t go crazy making trades!). This is a paradox, or at least a frustrating fact. The best time to invest is when you’re young. When you’re 18 and first able to begin investing in your own name, you’re in high school or college. When you’re in high school or college, education is your priority, and you probably don’t have a lot of income — if any. So how do you invest for your future when you’re broke and still in school? Also, you are (or should be) trying to avoid debt, so maybe you’re paying for college yourself by working. Unless you had the foresight and desire to keep the cost of your education as low as possible (by going to community colleges, matriculating part time, or receiving a full slate of grants or scholarships), you’re working, and likely putting any money you’re making towards paying for school. Your environment is not conducive to saving for the future. Unless you’re receiving a lot of financial support, you’re probably struggling with money for the four (or more) years you’ll be in college. But investing while you’re in college isn’t impossible. 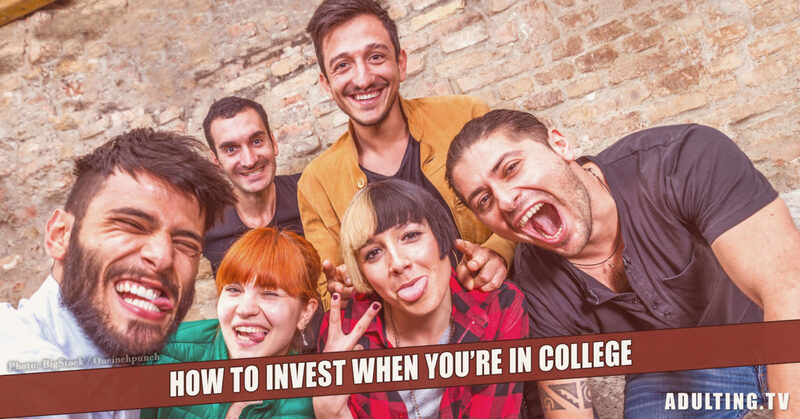 An Adulting.tv reader wrote in to ask us how to invest while in college. And it’s a popular question because college students are told that investing early is the right thing to do, but have no idea where or how to start. In college, if you’re even just thinking about financial priorities, you’re several steps ahead. Don’t worry about whether it’s better to start paying off debt early or save for the future through investing or savings accounts. There are a number of competing priorities for your money. Whether you tackle just one or spread whatever small amount of money you have across all the priorities, you’re going to end up in a better position than you would have otherwise. Pay off debt, including deferred student loans. Avoid credit card debt. Build an emergency fund. Invest wisely. Overwhelmed yet? No one expects you to do it all right away. But do something. Don’t wait until after college to begin investing. The early bird catches the worm of wealth. If you wait four years while you’re earning that degree, it will take more money invested faster to make up for whatever gains you missed out on. Be up front with anyone who’s helping you financially. Communicating is an important piece of whatever strategy you want to use when it comes to anything with your money. If your parents are assisting you financially, whether paying for a portion or all of your education, providing you an allowance, letting you live at home for free or reduced rent, covering your health insurance, or anything else that might help you with money, keep them in the loop. 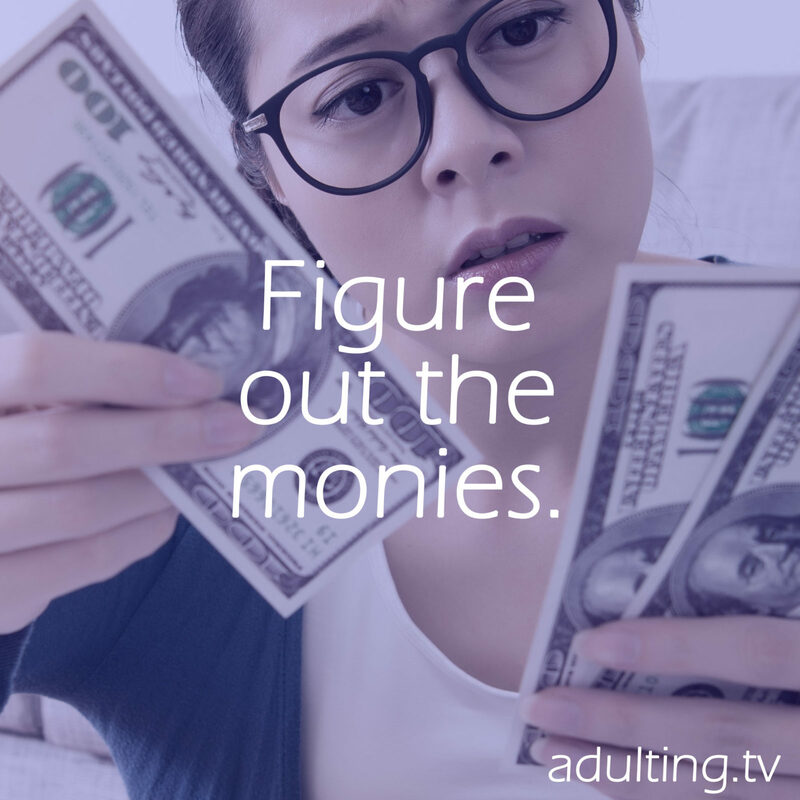 You may be eighteen or older, technically considered an adult, but if you depend on adultier adults, it’s only fair to discuss your financial plans with them. They may provide some insight, they may decide to offer more assistance, or they may just be proud that you’re seriously thinking about your responsibilities and your future. They’ll definitely appreciate your honesty, candidness, and desire to take your responsibilities seriously. Set aside a small amount of cash. The more you can invest now, the bigger the money will grow. It comes down to the choices you make. Do you choose to spend every weekend partying and spending money on getting turnt? Or can you cut back some and set aside your booze money for later? Do you buy your textbooks full price, or can you locate used editions and pocket the difference? 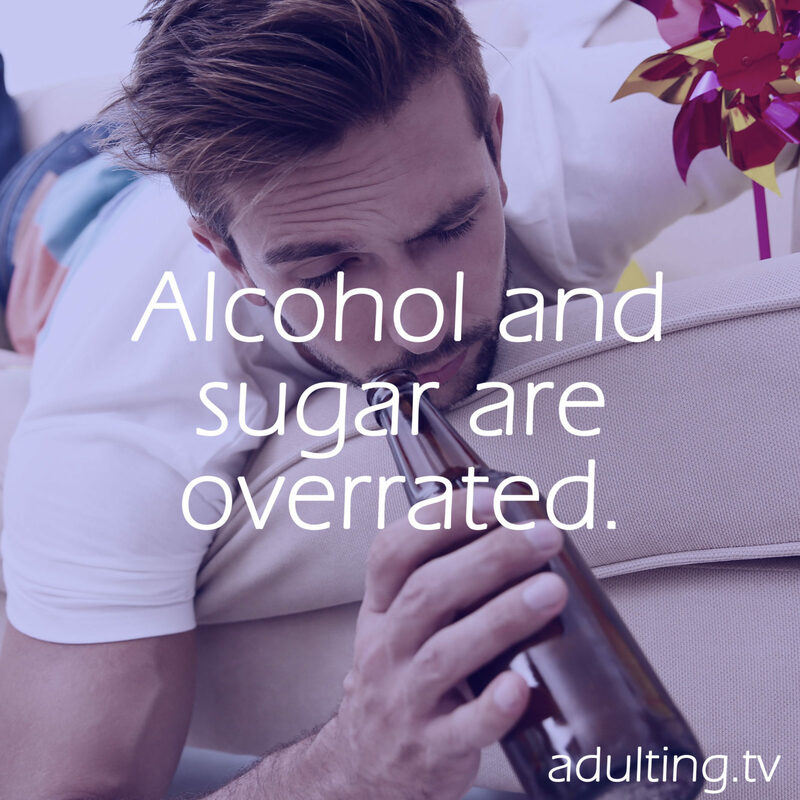 Alcohol or no alcohol, every student spend some money on something that might not be necessary. Cutting back is only one way to increase your flow. Bumping up your income has the same effect, and thanks to the numerous ways you can increase that income, you may have more flexibility than you would when reducing expenses. You may be already spending all your time outside of your studies working to cover your tuition. But maybe you can add another couple of hours of work each week without affecting your education. Maybe you can ask for a pay increase. Perhaps you can multitask or squeeze another small job in there. I made some extra cash in college by teaching professors how to build websites. I also had a campus job at one of our libraries. Maybe you have skills that people will pay for. Even if you’re still adding to you emergency fund, paying your tuition bills, or paying off debt, you can set aside some of your cash for investing. These days, there’s virtually no minimum amount of money required to open a good investing account. Recently, I opened an investment account at WealthSimple with no initial deposit, and I started sending $10 a week there. That’s less than the cost of one meal, and a great place and amount to start. Don’t worry about picking stocks, studying companies, or thinking about how all the crazy things happening in the world affect the market or the economy. Just invest using a fund that tracks the stock market as a whole — an index fund — because it’s unlikely you’ll do better than that. Even professional money managers don’t, so don’t fall into any traps. I’ll describe the investment you’ll need to choose. See what resources your college has for you. My college had — and still has — an investing club. Today, the club manages $1.7 million of the university’s endowment and offers resources for students who want to invest. The student organization claims to have a methodology that follows the gist of the best investing advice: track the entire stock market broadly and don’t chase down individual stocks. Trying to predict the movements of one company, whether it will succeed or not in the short-term, is basically gambling. It’s a bad idea. But according to the financial reports the investing club has posted online, which aren’t recent, they would have done better had they just invested in a stock market index fund like the S&P 500 instead of choosing other investments. So take a look at your college’s investing club. Get to know people for whom investing is a priority. But don’t necessarily follow every piece of advice you are sure they will bestow upon you. Put your money in a low-cost stock market index fund or ETF. That’s. It. A service like WealthSimple will make that easy for you. You might want to try these investing services while in college. I’ve used many investing services, and WealthSimple is currently my top choice. It easily walks you through making the right choices, connecting your bank account, and setting up automatic withdrawals. If automatic withdrawals scare you, it’s understandable. But any job you have — on campus or not — should be depositing your pay directly into your bank account. Forget check cashing services. If your job pays you in cash for some reason, take that cash and open a bank account. Almost every bank offers free accounts for students. Here are the best investing services to use. WealthSimple. Again, my top choice. It’s amazing that I can send $10, or even less, once a week, and start building a nest egg. In 30 years, that $10 a week will become $37,000 thanks to the growth in the stock market. And assume you’ll increase your contribution as you earn more money. Compounding returns will make you a millionaire over time. Betterment. Another popular low-cost, low-minimum investing service. WealthSimple, Betterment, and some other services are called robo-advisors. A financial advisory firm or investment advisors are normally people who help you make investing decisions — though watch out for some because they are also salespeople who care more about their bonuses than whether you make the best choices for your own money. But robo-advisors take the human element out, and let you provide answers to a survey to determine how much risk you’re willing to take and provide you with a low-cost strategy for managing your risk and getting the best return. Vanguard. The above two options are good when you don’t have $1,000 ready to invest. They’re also “managed” investment services, so they make the decisions about which funds to invest in. 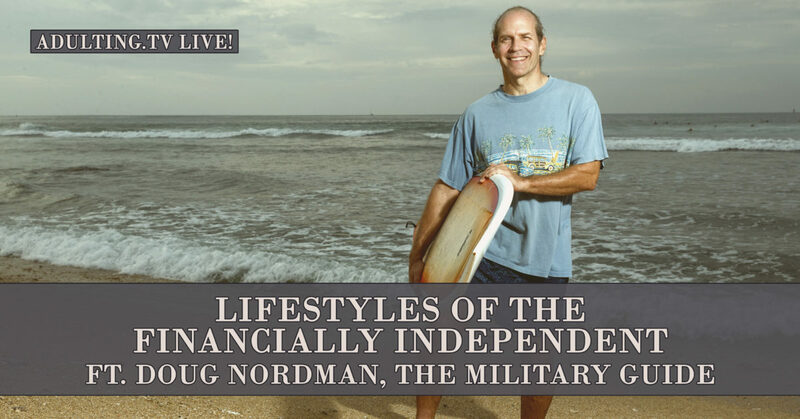 With Vanguard you can do it yourself — and I find that to be my preferred method. You can choose which vanguard fund you want to invest in. For example, VTSMX is the symbol for Vanguard’s total stock market index fund, which is incredibly low-cost, and you never have to worry about it losing more money than the stock market entirely. So if you save $1,000 before you start investing, you can open an account at Vanguard. Notice there aren’t a lot of options listed. To keep it simple, these are the only investment accounts I’d recommend. There’s no need to list 10 different investment accounts, because one of the above should suit every college student’s needs. Even yours. What type of investment is best for college students? There are investment accounts, investment types, and investments. The companies named above are investment accounts — or companies that offer investment accounts. Investment types are classifications that have to do with what the investment is for. And investments are the actual things — shares in companies, bonds, funds, etc. — that are held within those investment accounts. If you are going to the Vanguard route, you will most likely be fine over the long term. Choose the Roth IRA investment type. Because this is a retirement account, it helps you be disciplined about your money. You won’t be as tempted to withdraw your money from the investment in order to buy something you don’t really need. In return for holding onto your investment until retirement, you receive some tax benefits. There’s a yearly maximum (which may not be something you have to worry about while in college), but all of your investments grow tax-free until you reach retirement age and withdraw your funds. Otherwise, every year your index fund does well, you would have to pay some additional taxes (or your refund from the IRS will be lower). You can also choose a Roth IRA if you invest with the WealthSimple or Betterment robo-advisors. In other investment types, those that aren’t IRAs, you do have to pay attention to the tax bill. Mutual funds and stocks generate income, and all income is taxed by the government. As a student, you may wish to avoid or put off generating taxable income when you don’t have to, and that’s the benefit of a Roth IRA. What investments are best for college students? Stocks are simply the best investments for the long-term. Yes, even better than “real estate.” Just smile and nod when your roommate won’t shut up about his uncle who invests in real estate and real estate will never lose value and real estate is the only way to get rich. Long-term is the best strategy to consider as a college student because it is the first priority for investments. And over the long-term, stocks perform the best. But you have to leave them alone and invest in a wide variety of stocks that reflect the entire market. The best way to do that is through the low-cost index mutual fund described above. End of story. Period. Full stop. What about the 401(k) while in college? This might be surprising, but you can contribute to a 401(k) while you’re in college. 401(k) and 403(b) plans are retirement accounts that are offered by employers. If you’re working full time while going to school, see if your company offers a 401(k). Even if you’re working only part-time, have a seasonable job, or are an intern, you may have the option as well. While investment options in 401(k)s aren’t always as good as what you might find at Vanguard for your Roth IRA, one priceless piece of the 401(k) is matched contributions. For example, your company might say that they’ll match everything you contribute to your 401(k), dollar for dollar. There is no better investment than doubling your money immediately. So you should definitely go for it. Look for the investment within the 401(k) that is closest to an index mutual fund. Sometimes it’s the default choice, but sometimes it’s hidden. One thing to watch out for is a vesting period. Some companies require that you stay employed for a certain amount of time before some of that matching money officially becomes “yours.” The matching contributions might not vest for a year, or might vest gradually over the course of a few years. You’ll still get the money you invested in the 401(k) to keep with you forever, but your company’s contributions might never materialize. Also, your investments made in a 401(k) are done on a “before-tax basis,” so a contribution reduces the amount of income on which you have to pay income tax. And like a Roth IRA, your investments grow without any need to pay tax on gains. You will pay taxes on everything, however, not just the gains, when you reach retirement and withdraw. It’s hard to know if you’ll stay with a company over the course of a few years — but from my experience, I know I’ve stayed with companies longer than I would have expected. Not while in college, though. But shouldn’t we be concerned about the coming recession? I would not be surprised in the least if we go through another recession sometime soon. Do not let this stop you from investing. If you’re in college today, you most likely remember something about the latest recession, the worst of which was from 2007 to 2009. Your parents might even believe we never really recovered from that period of time. But for the most part, the country recovered and prospered for a few years. That won’t stop the next recession. Chances are, your investments will lose some value. That’s why you stay invested in a stock market index fund. It’s highly diversified, so you spread out the risk across hundreds of companies. But when your investment loses value, as long as you’re focused on the future, you have the opportunity to invest more at a lower price. The only way the stock market has helped people grow wealth is by having these recessions. Investors who stay invested and take advantage of recessions as opportunities are the ones who see the most growth over a long period of time. You only lose money when you sell your investments during a recession and you wait until the news tells you that the economy is great before investing again. The bottom line: don’t panic when your investments lose value. If your other money habits are strong, like spending only what you can afford, building your marketable skills, knowledge, and employability (part of the reason you’re going to college — it’s not just to find a mate), and not making poor decisions, you’ll find ways to use a recession to your advantage. 3 investing tips for college students. 1. Start yesterday. You already failed at this one, but don’t give up. If you start today, tomorrow you will have succeeded with this very important suggestion. I was a big procrastinator in college, and maybe you are, too. I waited until the last minute to write papers and other assignments, study for exams, and perform research. Your future is hanging in the balance, and it’s so much harder to make up for lost time. Even a small investment today makes a huge difference in the future. You’ll having to work harder to earn more money to catch up to how much you want to have to be able to retire or be financially independent. You’ll have to continue working longer before you’re able to retire, or you may never be able to retire at all. That’s one of the biggest worries today’s college students have, especially when looking at the economy and society. You will need to delay buying a house or starting a family. With this, many college students are convinced that they’ll never be able to accomplish either of these goals in a reasonable amount of time, anyway. You will eventually experience losing a job without any kind of cushion. You won’t be able to handle your expenses while looking for a new job, so you will go (further?) 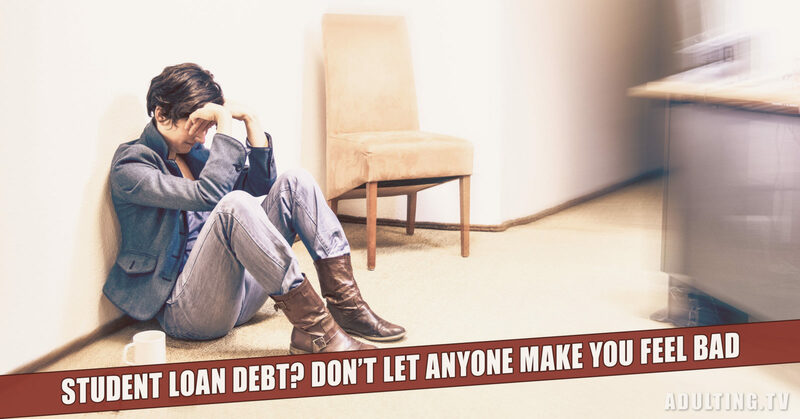 into debt and the repercussions for yourself and whatever family you might have could be disastrous. You’ll never surpass your parents in wealth and success and will also trail behind the progress of your friends. If some of these potential outcomes scare you, they probably should. Getting control of your finances involves knowing your income and expenses intimately while also making the best investment choices. It’s a lot of responsibility, but it is achievable. 2. Ignore some of your college buddies. All you need to start is a diversified, broad stock market index fund or ETF, or something similar, whether you open an account at WealthSimple, Betterment, or Vanguard. For some reason, investing advice is something people give freely when they know very little. Make one correct bet on a stock, and suddenly they’re an expert and a genius. In no other way has “trust the process” been better advice. This is the process you must trust. Buy a low-cost total stock market index fund whenever you can, repeatedly, over the long term, and don’t sell until the very end. If you maintain that process regardless of what’s going on around you, you weather all the economic storms. Eventually, you’ll need to sell — what’s the point in accumulating wealth if you’re never going to use it? But keep your long-term investing funds invested for the long term. When you get to the point where you have enough invested that you no longer can work, you can shift your investments around from “growth” mode to “income generation” or “value” mode. But that’s the process later on — not while you’re still able to build wealth through saving and working like you are in college and in the many years following graduation. 3. Don’t let investing be your only financial goal. If you establish good financial habits during college, you’ll be much more prepared to invest more throughout your life and reach whatever financial goals you’re likely to have. Track your finances so you always know where you stand. Avoid debt, and pay off any student loans as quickly as possible. Start building a savings account that will eventually become an emergency fund when you are no longer in school and have to support yourself fully. Don’t neglect your bills and other obligations. Use credit cards wisely by spending only what you can afford to pay for immediately. Put faith in yourself and don’t rely too much on parents or employers to take care of you. Did you start investing while in college? How did you find the money? You finished your bachelor’s degree and you’re out in the real world. You’re feeling real pressure to find a good job along your career path. It’s those massive student loan bills. You dread opening them because they remind you of the four or more years you lived without a major concern about your finances. Now your college education seems like a burden. What did your bachelor’s degree get you, anyway? You’re 22 and you don’t have a job yet. Or you’re 30 and you’re still not sure if you’re on the “right” path. If you haven’t been ignoring the reality of your debt, with your head in the sand like I was for a few years after earning my bachelor’s degree, you’re fully aware that student loans — like all debt — reduce flexibility in your life. You can’t afford to delay your career. You can’t even afford to go out with your friends (but you probably will anyway). And if it feels a little unfair that all you did was earn a college degree like your parents, it might be. The cost of a college education has grown much faster than income for most Americans. You’ve been set up to fail financially by the world while you were a teenager, and that same world does blame you unfairly. Well, we all have friends who embody the millennial stereotype — but not you, right? Is college no longer worthwhile? Financial experts are now making headlines by tearing apart the idea of higher education. Whether it’s due to the evolution of the curriculum over the years, or the lasting effect of the recent recession on the idea that the only worthwhile type of education is one that leads directly to a job that in high demand, loud voices are encouraging alternative paths. Even today, with the cost of a bachelor’s degree, college graduates will, on average, earn more and have higher rates of employment than those without. Even today, with the high price of college and resulting student loan debt, a bachelor’s degree pays for itself with higher earnings. But return on investment (ROI) isn’t the only benefit of a college degree. Here’s some more good news for those who are being told their degree is worthless. Liberal arts is the hot ticket in Silicon Valley. Studying the liberal arts, as many college students do, makes you valuable to all types of businesses. A college education is still the gateway to the middle class. Completing an undergraduate degree is the most effective way of breaking the cycle of generational poverty. If you grew up in a middle class environment, some of the opportunities colleges affords the world are privileges you all ready have. And financial experts take advantage of those who don’t recognize their own privilege, especially when it comes to talking about debt. Whenever the unemployment rate is high, we find more encouragement in the media of entrepreneurship as the singular path to a lucrative life, replacing of education. You have probably heard at least one person tell you that education is overrated and the best path to success is starting a business. You don’t hear that most businesses fail and that a college education still plays a major role in financial aptitude, even for entrepreneurs. A good educational foundation greatly improves someone’s ultimate entrepreneurship goals by enhancing the cognitive, business, and life skills that good entrepreneurs need. Many of your anti-education role models had other types of assistance that you might not have, and the louder they talk about their success, the more they’re hiding about their privileges. Sure, you should try to keep your cost of education low. Grants and scholarships are better than loans, of course. But now that you’re out of college, the goal is to manage the debt you do have, not allow the world make you feel guilty for prioritizing your future livelihood over buying a house immediately upon graduation. Here’s the four-step plan to dealing with student loan debt. 1. Recognize that your debt does not make you a bad person, nor did you (necessarily) make a bad decision to pursue a college education. Yes, you may need to make some sacrifices now to manage your finances responsibly, but in most cases, the degree will be worth it. That will be true even if you decide to change your career path, away from the focus of your degree! Any bachelor’s degree is better than no degree. If you didn’t screw around too much in the four-plus years it took you to pursue your undergrad education, and if you took a variety of courses and exposed your brain to a diverse array of ideas you wouldn’t have considered elsewhere, your education will never be worthless. It will continue to help you with whatever life you decide to live. 2. Get organized and pay attention. You can’t ignore your bills forever, so don’t even start ignoring. Tackle your responsibilities head on — and your student loan debt may be the first real responsibility you have in life for which there are consequences. I ignored my bills for too long. Working at a low-paying nonprofit organization after college didn’t help. But I figured my life out and found a path that allowed me to totally eliminate all of my debt. This path wasn’t related to my college degree but I know that I succeeded thanks to my college experience. 3. Look at some of the options for helping you eliminate student loan debt. If you have federal student loans (and these are almost always better than private student loans), you can look into income-based repayment plans. If you’re just starting out in your career, you can lower your monthly payment to help you with cash flow. You may qualify for loan deferment, so your payments are put on hold, and in some cases, you will not need to pay more interest while you wait for your deferment to end. If you don’t qualify for deferment, you may qualify for forbearance, which also gives you a grace period on your payments. But with a forbearance, you’ll still accrue more interest while you wait. If you’re a teacher or you have a public service job, you may even qualify for the cancellation of some federal student loans. That’s not the only way the government is willing to help you. It is possible to get a tax credit for the student loan interest you pay. I’m not going to suggest consolidating your loans, unless it’s with a federal consolidation at an interest rate that’s lower than what you have now. Now there are private companies willing to refinance your student loans, and there are some disadvantages; namely, you lose all the advantages for borrowers mentioned in this section. And watch out; these private lenders pay financial “experts” bounties for signing up new borrowers through websites, and thus there are many more positive reviews on the internet than there would be otherwise. Still, you could end up saving some money — in exchange for a fee and limited flexibility — when you refinance with a private lender. 4. Pay it off consistently and regularly. Work out a plan to pay the student loans off well in advance of your schedule. 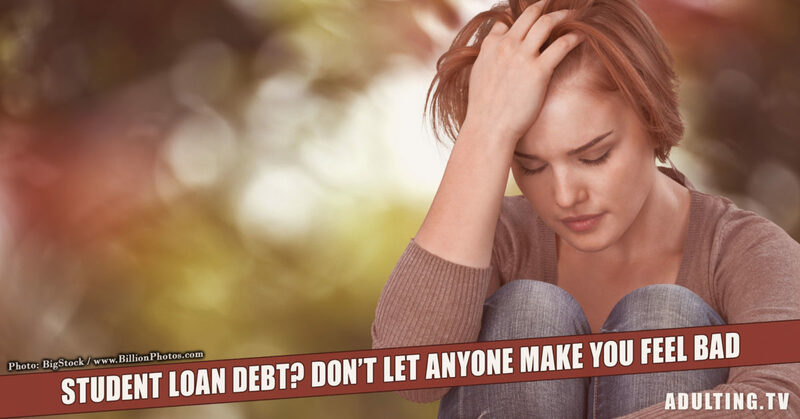 Student loans will stick with you even if you need to declare bankruptcy (almost always), so do what you can to get rid of them as soon as possible. And then celebrate! Because not only did you pay off your student loans, but you received a college education, and will most likely be better off in life than people who say you made a bad choice for getting a college education. What about consolidating those student loans? Getting a little technical, each year you borrowed money for college initiated a new loan. So you might have several different loans with different interest rates. I wrote above that I would only suggest consolidating this loans under certain circumstances. The best option, if you have federal loans, is for a federal consolidation. But you may have private student loans, as will many students who have to borrow more and more to afford the education they’d like to pursue. You might want to consider using SoFi to consolidate. SoFi is a private lender that is focused on student loan consolidation. It takes less than two minutes to find out what interest rate you qualify for. And if you do qualify, chances are good you can reduce your monthly payments. And if you’re struggling at the beginning of your career, allowing yourself some financial space to breathe may be worth the extra time it’ll take to pay off in the end. But you should carefully consider any important financial decision, think about the pros and cons, and put yourself in your future self’s shoes. If you don’t have a bank account yet, you should open one. (Continue reading for some suggestions.) Anyone who earns money from a job or any other source — even if there isn’t a lot of money to spare — should be using a checking account at the very least. My bank tells me I’ve been a customer since the year I turned 13, so whether it was from an allowance, from taking care of my neighbor’s cat while they were on vacation, or from my first job in retail, I was at least trying to have a positive money attitude, inspired by my parents. It’s possible to be successful without a bank account, but without one, you’ll have obstacles in today’s society. You can work at a job where you’re paid cash, or you can use check-cashing services at Walmart or storefronts. Prepaid debit cards can help you buy things in an increasingly cashless environment. But all these workarounds are expensive and limit your financial possibilities. You don’t need to go crazy. You can do everything you need with one checking account, but to make the most out of benefits banks have to offer, you’d need one savings account as well. That will help you earn interest on the money of yours you let the bank use — yes, when you deposit money in a bank account, you’re letting the bank use your money, so they should be giving you something in return (in addition to your ability to withdraw any amount of your money at any time). Choose one of these best bank accounts to open. Best Overall Bank Account for an Adult. Fidelity Cash Management Account. This is the best example of the KISS method of banking. It’s a checking and a savings account in one, though the amount of interest you earn is minimal. But for a primary bank account, that’s just fine. Everything is free. Let me repeat: Everything is free. There’s no minimum balance. When you want to use an ATM, the owners will charge a fee, but Fidelity pays you to cover that fee. You receive free checks to use. (You should learn how to use a checkbook and how to write checks if you don’t already know.) You can deposit any checks you receive using an app on your phone. Of course, you receive a debit card to access your money using an ATM or for purchases. Open a Fidelity Cash Management account. Best Bank Account for an Adult Who Doesn’t Trust Banks. Your local credit union. Not a fan of the financial industry? Credit unions don’t answer to Wall Street, so they’re not always trying to profit from their customers. Credit unions are owned by their members (who are also their customers), so it’s a system that makes the needs of the customers their priority. Many community credit unions are open to anyone, but some have restricted membership. Navy Federal Credit Union is one of the best-reviewed credit unions out there, but you need to be affiliated with the military or the Department of Defense (or have an immediate family member who is) in order to join. The Navy Federal Credit Union e-Checking is that organization’s best option taking all the facets of banking into account. An independent credit union may also be the best option for Socially Conscious Adults. (Trump fans should head to CitiBank or Wells Fargo; the president owns stock in these companies.) Search for a credit union. Best Bank Account for an Adult With Limited Mobility. The branch that’s local to you. For a while in my adult life, I didn’t own a car. That really limited my ability to get around to a distant branch. This might apply to someone who lives in a walk-able city, too, like New York City. Convenience is an important factor in choosing a bank account, sometimes more than a tiny bit of interest you might earn. So if you have a bank within a walking distance of 60 seconds, no one would ever judge you for choosing that bank’s free checking option over another bank. Almost every bank account in existence today can be managed online, so there should be very few things you need to actually travel to a branch for. But sometimes, something comes up. But any online account should also be good for someone without access to transportation. Ally Bank is a strongly-reviewed online bank with a standard checking account. Simple is another interesting choice. 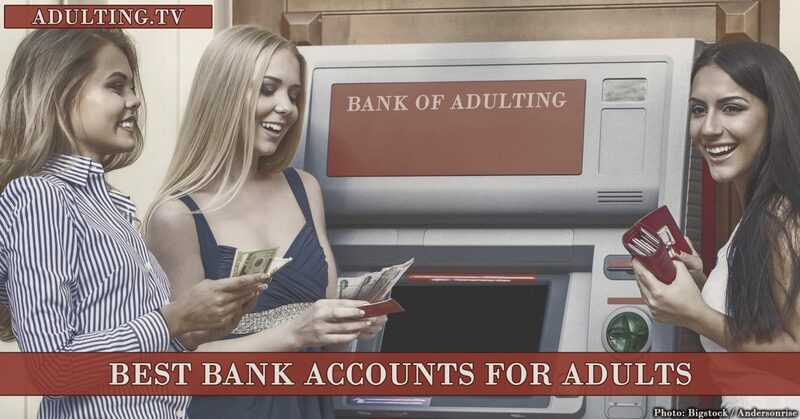 Best Bank Account for Adults Who Earn Interest. Synchrony High Yield Savings. If you want just one bank account, choosing a checking account like one of the above. If you’re ready to have both a checking account and a savings account, and you’re moderately good at managing your money, a high yield savings account is a good choice for a second bank account. And in recent years, Synchrony has offered one of the highest interest rates around. As of right now, that’s 1.05% APY (annual percentage yield). What does that mean? If you deposit $1,000 on day one and do nothing else, on day 366, your balance will be $1,010.50. Not a huge increase, but it’s better than ending up with less. And we’ve been at a low point in interest rates. They will rise in the future — we just don’t know when. Open a Synchrony High Yield Savings account. Best Bank Account for Adult Entrepreneurs. Citizens Bank Clearly Better Business Checking. It’s important to separate your business finances from your personal life. If you develop a business, or you start earning money from your hobby in a serious way, you’ll want a business checking account. Make your business official with the state and federal governments, then open this account. There are no maintenance fees and no minimum balance requirement, so it’s perfect for your side hustle. The bank offers 200 free check transactions, which should be sufficient for most small businesses. Open a Clearly Better Business Checking account. If you have a bank account, which account do you have? Does the thought of investing scare you because you need a lot of money to get started? That’s one of the biggest reasons people are missing out on the best way to build wealth over the course of their lives. It’s hard to just take that first step when you’re also concerned about feeding yourself or your family, covering your rent or mortgage, and affording every other necessity in life. But you don’t need a lot of money to start investing. For example, $10 a week can turn into $75,000 if you give it some time. Here are a few ways to make that happen for you. WealthSimple. WealthSimple arrived in the United States after its success in Canada, and its strength is its cost. When you’re starting out with investing, you don’t want fees digging into into your profits. There’s no charge to transfer money from a bank account into your WealthSimple account. I started out with a $10 weekly investment, but you could start with $5 a month if you want, or if that’s all you can afford right now. And there’s a special deal right now. If you open an account, you will receive a $50 bonus. Open an account today and get that $50. When you sign up, you fill out a short questionnaire to determine how your money should be invested with a mix of exchange-traded funds — one of the most frugal ways to invest in stocks and bonds. You can accept their suggestions — and if you’re new to investing, that’s what we would suggest you do — or change them to suit your tastes if you have a little more experience with investing. If your account stays under $5,000, you will not be charged any fee for the first year. Above or after that, the management fee is a small 0.5% — though, if you find yourself with more than $100,000 invested, they’ll reduce your fee to 0.4%. This is a great deal when it comes to investing, especially if you’re starting out with just a little bit of cash to invest. LendingClub helps you pick out the best investments and gives you a good idea of what you can expect to return. You can use your investment to create an income stream. There’s a higher minimum investment of $1,000, but you can save up in a savings account until you are ready to start. After that, you can increase your investment with only $25. Open an account with LendingClub today. Ally Invest. Ally Invest is a discount brokerage with truly low prices. Yes, the $4.95 fee per trade will cut into your profits if you invest small amounts in stocks or ETFs. If you want to invest frequently, WealhSimple mentioned above might be a better option, though your investment selection is limited. On the other hand, Ally Invest really lets you take control of your investments. There’s less guidance, but more flexibility. Ally Invest used to be known as TradeKing, which made its name as one of the most popular discount online brokerages. Open an account with Ally Invest today. There are three great options above for getting started with your investment portfolio. This is something every adult should have, and every adult should invest for their future, regardless of how difficult it might feel to let go of even $1 of cash today. Your future-you will thank your today-you if you just take one simple step forward today, even if it’s not a huge step. Thankfully, these resources are here to help you out. I know you won’t follow every piece of advice you’re about to read. Some of this won’t have anything to do with you, anyway. But bear with me. 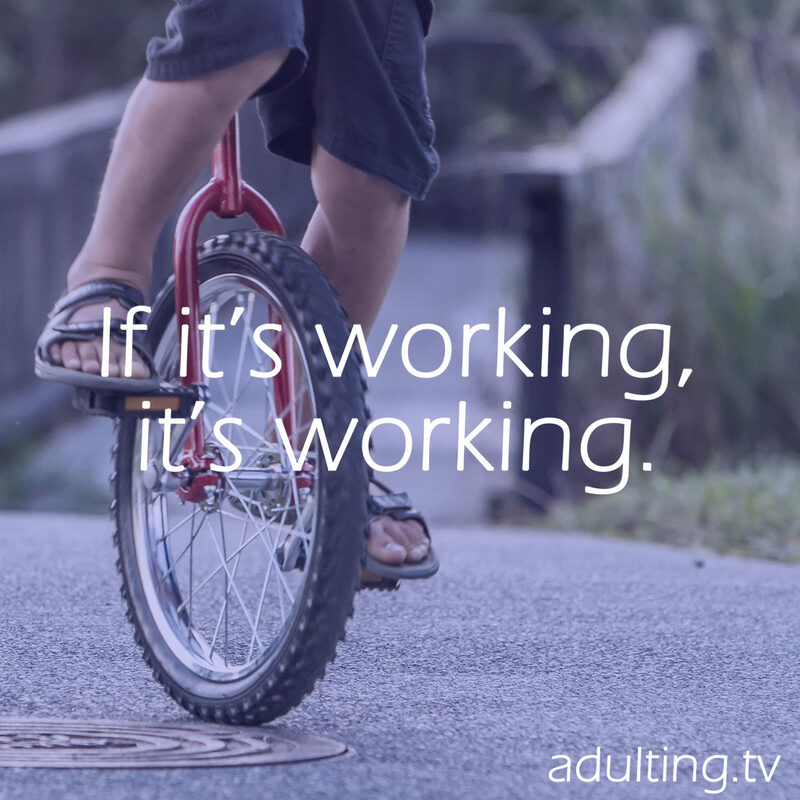 That’s because I and the rest of the Adulting.tv team asked hundreds of people — some of them adults and others… “adults” — what advice they’d give their younger self. Some answered with very specific advice about opportunities they had at the age of 21. Some offered tidbits of wisdom they gained from making mistakes. Most didn’t answer at all. Don’t worry — even if you take some advice to heart, you’ll still make mistakes in life. Mistakes are the best way to learn about yourself and how you can grow as a person. But if you have the opportunity to avoid a few, you might as well take it. 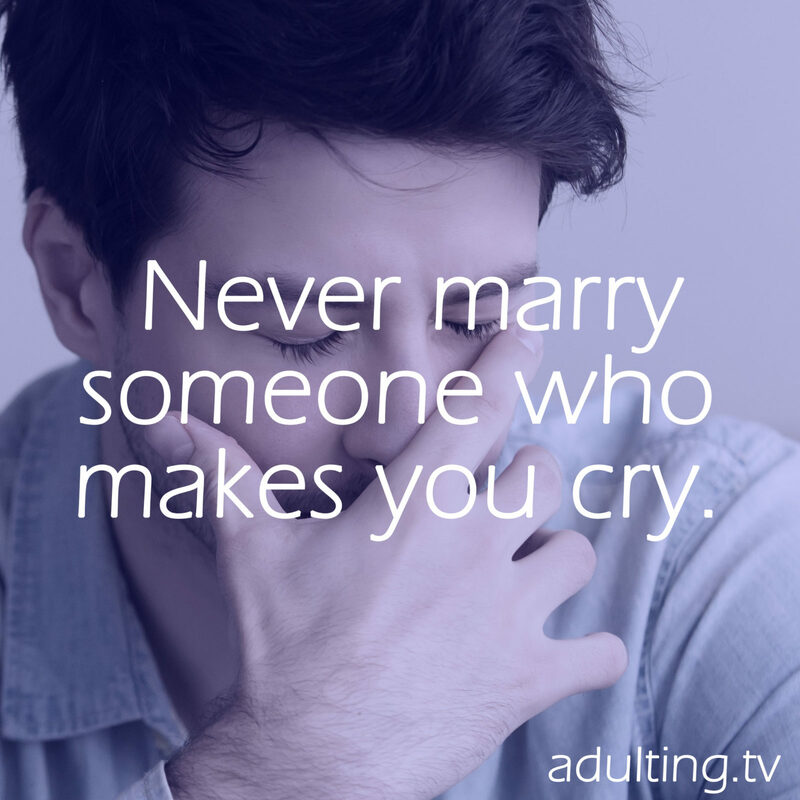 So let these certified adult experts help you. 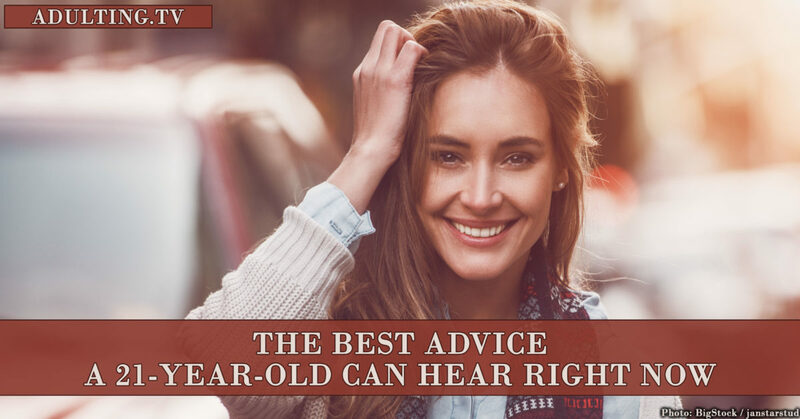 Something in this fantastic round-up of advice will apply to you, at any age.